Lemongrass & Cedarwood, along with other herbs and oils, this facial kit is the perfect route to a flawless & radiant complexion. Lemongrass is extracted from Cymbopogon citratus and is known to be an effective skin toner and powerful astringent. helping in keeping acne and eruptions away. It is a potent antiseptic which heals the skin without harming it. It helps in reversing the effect of harsh chemicals on the skin. Cedarwood Oil is an essential oil. It is a very effective treatment for acne-prone and excessively oily skin as Cedarwood Oil controls the oil production thereby cutting the chances of dirt and impurities being attracted on the face with too much oil. 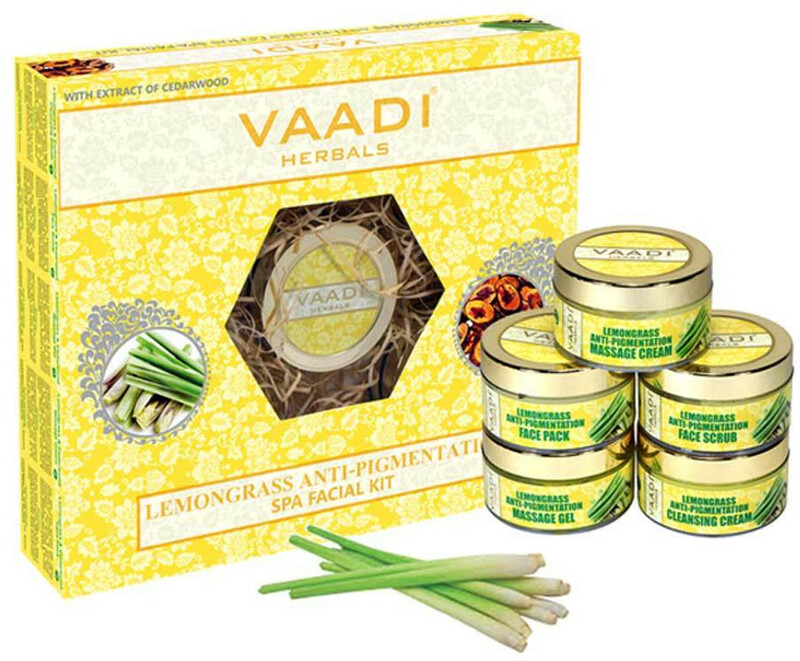 Dry skin is nourished to health and patches fade away in no time.With the rich nutrient composition of Lemongrass & Cedarwood, along with other herbs and oils,It penetrates deep to improve the circulation, making your skin healthier. In all, it works to enhance the way your skin feels and looks!